Disk Check is a great utility in Windows operating system and there are more alternative programs are also available for checking disk for errors. This post is about using in-build Disk check feature and scheduling a disk check in startup. 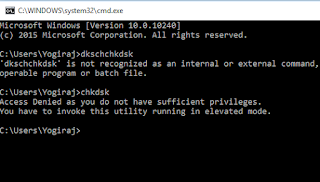 There is a easy command to run disk checking utility. 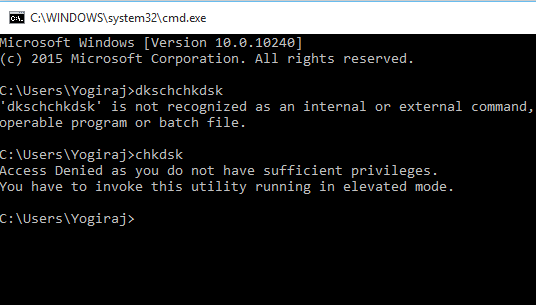 This will ask you to schedule disk check in startup butif you are getting insufficient privillage error then you haven't ran it as administrator. Open your Computer Properties. ( Right click and choose properties on any of your drive, you want to check for errors through chkdsk program). Now go to tools and choose error checking optoin. If you are having any issue in checking disk then let us know below.